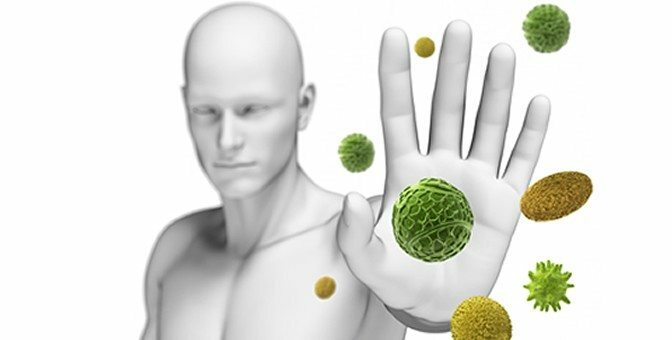 Four randomized controlled trials,[1,2,4,5] a nonrandomized clinical study, and two case series [6,7] found that acupuncture enhanced or regulated immune function. The first randomized controlled trial found that acupuncture treatment enhanced platelet count and prevented leukocyte decrease after radiation therapy or chemotherapy, in comparison with the control group. A second study involved a group of 40 postoperative cancer patients, 20 of whom received daily acupuncture treatment and 20 of whom served as a control group. After 3 days, leukocyte phagocytosis was enhanced in the treated group, compared with the baseline measurement (P < .01); no such enhancement was observed in the control group. A third study observed the effect of acupuncture on interleukin-2 (IL-2) and natural killer (NK) cell activity in the peripheral blood of patients with malignant tumors. The patients were divided into an acupuncture treatment group (n = 25), which received 30 minutes of acupuncture daily for 10 days, and a nonacupuncture control group (n = 20). The data showed that IL-2 level and NK cell activity were significantly increased in the acupuncture group, compared with the control group (P < .01).